Hi, I'm Andrea from Perth, Western Australia. I'm 38 and live with my two kids and our cat, Stella. My son Ashley is 16, and my daughter Sarah is 13. I work as a Library Clerk and love books/reading and enjoy helping people with tech issues and so on. I also love visiting museums and galleries just about everywhere I go. I live quite close to the beach and love anything to do with the water or marine life, love going to weekend markets and coffee shops. I'm a history buff and love learning about people/places. I also love the paranormal and am pretty obsessed with all things spiritual. Visiting places where I can combine the two really appeals to me! Please Note: Unless it is a crafty type swap, please don't send me random bits of craft stuff ie. cardboard, ribbon, paper, embellishments, beads, buttons etc. I have enough random things here already! I love travelling- in particular IRELAND or FRANCE. Any souvenirs, ticket stubs, flyers, photos or stationery would be gladly received. Anything related to airports, airplanes and travel. I am a COFFEE or hot chocolate drinker, I don't drink tea. I like airline memorabilia like the kids' packs you get from airlines (I used to hunt for these on ebay but haven't in a while). As far as crafts go, I'm into cross stitch, tapestry, mail art and papercrafts. I can't go anywhere without looking for things to swap! I'm always hunting for postcards, letter sets, stationery, Australian souvenirs and generally 'cute' stuff. If you have any requests I would be happy to hunt for you should I have the time to do so. If you would like to set up a private swap, please contact me and we can discuss it. I am a generous but fussy shopper and will make it my mission to find you the perfect items to swap! Please note: Australia has quite strict rules and regulations about what can be sent here. There are many more... sorry about this but it's better to be safe than sorry. Obviously this doesn't apply if you are sending within Australia! Please allow up to three weeks in some cases for your package to arrive. I hate to be preemptive but I don't want this to cause problems and hurt my ratings. In most cases I send out my swaps very early to allow for this. If a problem arises please PM me and I will do my very best to make sure you get your gift. I am happy to re-send. Please contact me if you would like to angel - thank you so much! Comment: Thank you so much for the amazing swap!!! Comment: Love, love, love! Thank you so much for all the RSPCA stuff you sent to me. RSPCA Animal Rescue, an Australian reality television series is my favorite! Response: Thats great! I haven't heard of the TV show but very happy to support animals here in WA. Comment: Thank you for a super swap! I like the swapping paper and all you sent! Comment: Thank you for heart on the pillow. Response: I'm thrilled that you liked everything, I loved the Disneyland tickets! So glad you and your husband enjoyed it! Response: So glad you liked it and only took a week to arrive! Comment: Wow! An amazing package! Loved everything, especially the cute bag!! Thanks so much for putting in lovely items to send me. Appreciate it! Comment: Excellent! Loved everything especially the swap bot stickers! Super cool. Thanks so much. Comment: Thank you for the airmail! Comment: Ah It has arrived safe and sound and all accounted for! Many thanks! It's a fun one,no doubt,and the extras inside are great...swap ya later! Comment: Thank you for the fun swap! Comment: How awesome!! I love the whole thing! Munch mail!! This is probably one of the most unique envelopes that I have seen in a very long time! Thank you very much for being a part of this swap!! I would love to do it again very soon! Response: I'm thrilled and glad it got there safely. I hope you liked everything, I got a few ideas off your profile :) This swap was SO much fun! Comment: Thank you very much for a fun French swap! I have just returned from a trip to Paris so it is all totally up my alley! 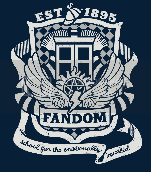 Fandom in a Bag profile check. Happy swapping! Thank you for letting me know my little package arrived. It's good to know that you are happy with it too! Sending you â™¥ from the USA. It is a pleasure to welcome you to Cold Hands Warm Hearts!!! Thanks for joining! Where in Oz do you live? I've lived in Queensland - up in Westlake (Brisbane). Got to see Toowoomba, the Gold Coast, Binna Burra and all those other oddly-named places! !